The holiday season is upon us, and for most people that means the wait is finally over to enjoy all the delicious holiday foods we’ve been looking forward to all year long. But, for those who are trying to get pregnant, the holiday season can be a particularly difficult time. What you might not realize is that It’s also a great time to enjoy some fertility-boosting foods to help improve your fertility and ovulation function just in time for the new year. Dark green, leafy vegetables are one of the best sources of prenatal nutrients like calcium, iron, and folate, so don’t pass over the collard greens on the holiday table. Other great options include spinach, kale and Swiss chard. Most people are already aware that citrus fruits are a great source of vitamin C, but did you know they are also packed with potassium, calcium and folate–a B vitamin that can help boost your fertility by regulating ovulation and creating a healthy environment for eggs. In addition to other servings of fruits, try to eat at least one serving of citrus each day. If oranges are your thing, try grapefruit, clementines or kiwi. These would be great as part of a light breakfast or snack to help offset that big holiday feast. Blueberries, raspberries and cranberries are packed full of natural antioxidants and anti-inflammatory phytonutrients–both of which can aid in female and male fertility. They’re also high in folate, vitamin C and fiber so you should continue eating berries to help with fetal development and maintaining a healthy weight during pregnancy. Just be careful with the added sugar that’s hidden in pies and other holiday desserts. While avocados aren’t a traditional food you’ll find on many tables this holiday season, homemade guacamole makes for a delicious appetizer. And who doesn’t love a good dip? Avocados are a healthy fat with a high concentration of vitamin E, which is proven to help stabilize and protect cells from oxidative damage. This can also be beneficial for women with polycystic ovarian syndrome or diabetes. Avocados are also packed with folate, potassium and vitamin K–which helps your body more effectively absorb the vital nutrients that it needs. We can’t think of a holiday party we’ve ever been to that didn’t include cheese. Look for mature cheeses like cheddar, parmesan or manchego. These are high in polyamines–a naturally occurring protein found in plants, animal products and humans. Mature cheeses, in particular, are high in a specific polyamine called putrescine, which plays an important role in improving both sperm health and egg health. 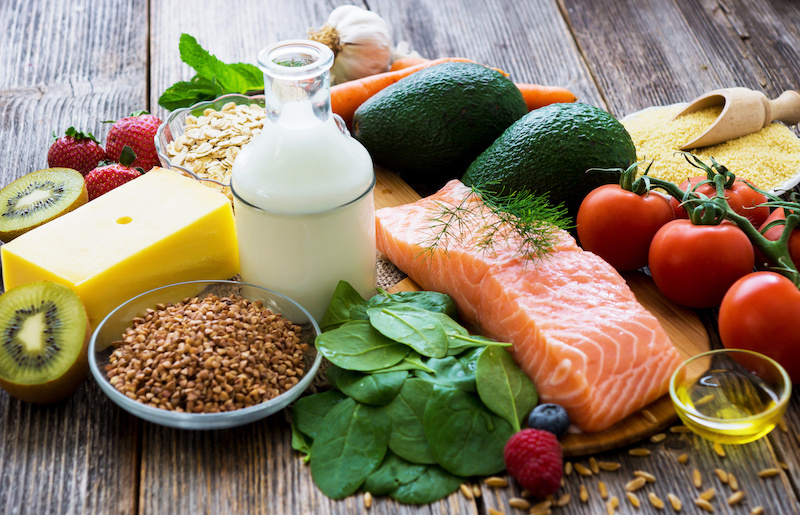 You may be hard pressed to find these on a holiday table, but other fertility-boosting foods to look for or work into your daily diet year-round include fatty fish (salmon or tuna), whole grains (quinoa), eggs, nuts (walnuts), plant-based proteins (lentils or beans), and full-fat dairy (Greek yogurt). Not only are these great foods to eat and avoid to help improve your fertility, but also throughout pregnancy or for those striving to maintain a healthy lifestyle. For more advice about everyday lifestyle changes you can make to improve your fertility, schedule an appointment with the specialists at Carolinas Fertility Institute today.